It’s always good to check that your bike is in tip-top condition before you set off on two wheels, but especially so if your machine has not been used for a while. With these tips on some basic preparation from the IAM’s director of standards Mark Lewis, you can make sure that everything is in order before your ride. 1. Check your bike for any damage and defects such as a loose exhaust, wires hanging down or leaks from under the machine – if anything is wrong with your machine we advise you to get it fixed by a mechanic first. 2. Check the condition and tread depth of your tyres. The tyre pressures should be checked with an accurate gauge when cold. The recommended pressure will be found in your handbook and also on the frame. 3. 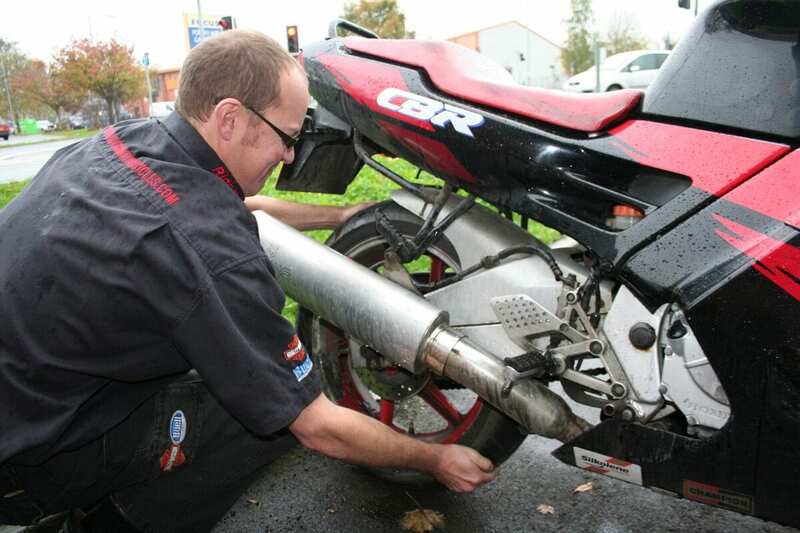 While some bikes require you to check the oil levels using a dipstick, most modern bikes can be checked via a computer or sight glass. Take note of how yours should be checked so you don’t end up overfilling it. 4. If the brake fluid is low, check to see if there is a leak near the reservoir. However, this could also be a sign that your brake pads are close to the wear limit – it’s best that you get your brake pads checked. 5. Check all your lights are working properly. Remember, some lights will require the ignition to be active without the engine being started. Mark said: “It’s also worth checking the brake light operation from all brake levers and pedals. Some modern machines will check bulbs automatically and display a warning if any are faulty.